Echo Ho is a interdisciplinary artist and composer born in Beijing who lives and works in Cologne. Her artistic practice often shows a complex migrational context and conceptual links of culturally diverse materials and artistic disciplines, which range from mixed media, audio video installations, art interventions to performances. 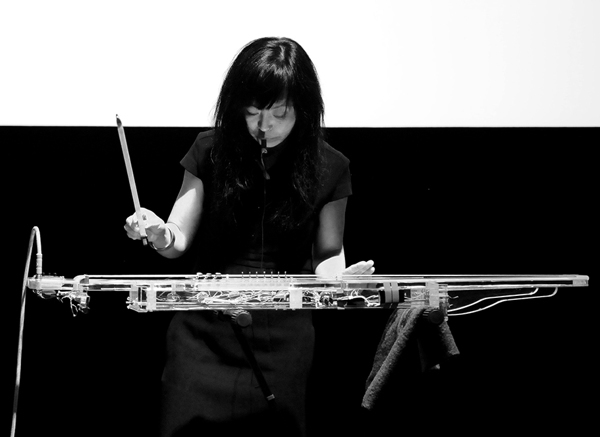 As a musician she works with field recordings, experimental electroacoustic composition, she performs live and collaborates with musicians from around the globe. Echo Ho will be in residence between November 9th and December 9th and will present her work at No Patent Pending #17 at Quartair on December 8th.